Sure, company parties in the summer are great, but if you missed your summer window there’s still time to book a wonderful event this fall! Whether business is doing great, or employee morale needs a boost, hosting a company picnic or party is a great way to show your employees that you appreciate them. 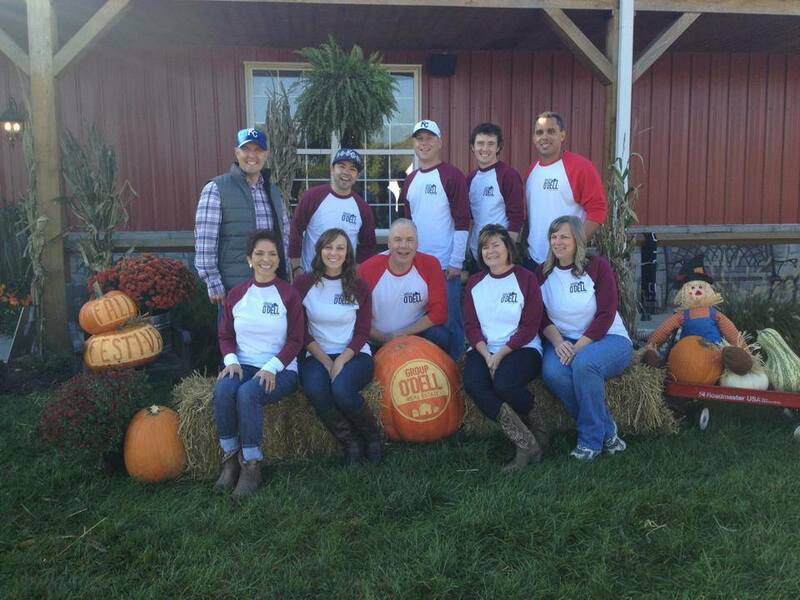 But did you know that fall at Faulkner’s is one of the best seasons to host corporate events? That’s right! Check out these five reasons why. Ready to book your company event? 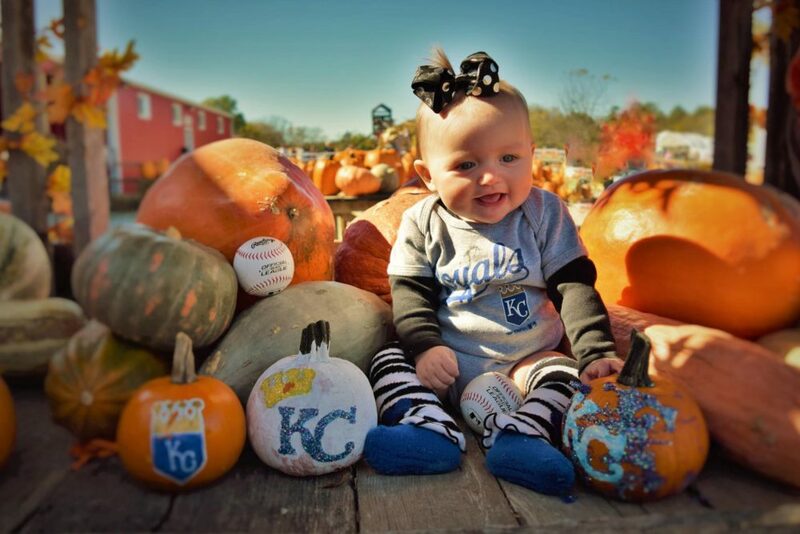 Take a look at our brand new Pumpkin Season packages! What could be more festive than a month-long event that provides daily seasonal activities, food and entertainment? Faulkner’s Ranch celebrates Pumpkin Season for the entire month of October, which makes it the perfect venue for your fall company party! 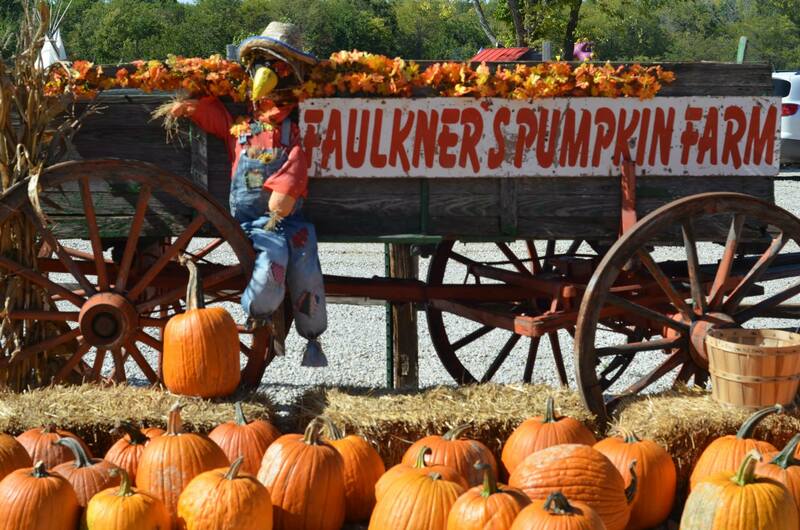 Enjoy the beautiful fall scenery and the pumpkin festivities all October long at Faulkner’s. Contact us today to schedule your next corporate event and make sure it will be a hit! 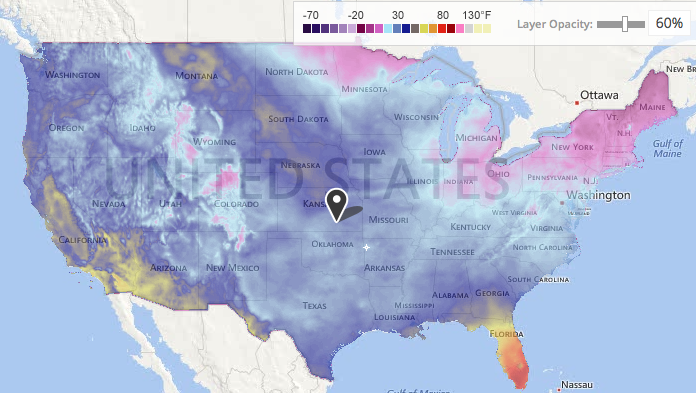 Kansas City fall weather alone is enough reason to plan a party! Between the changing leaves and the perfect temperature, what more could a party planner ask for? Nature provides a beautiful atmosphere without anyone lifting a finger, and it also provides a fun theme for your party without much effort at all. Whether it is pumpkin spice everything or flavors reminiscent of a Thanksgiving feast, the pure joy that comes from fall-themed foods is unbelievable. Pay special attention to your menu, and guests will never want a party any other time of year! 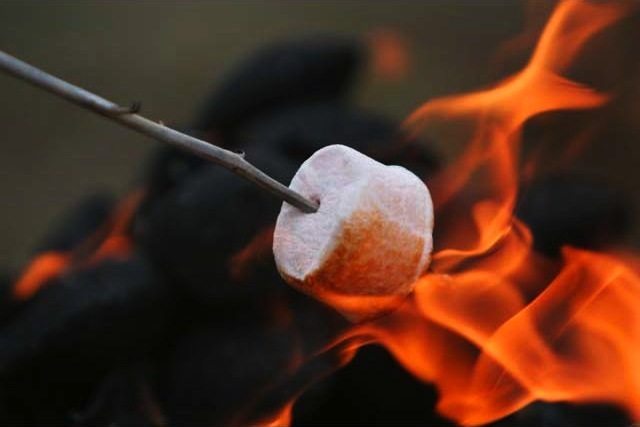 Faulkner’s offers mouth-watering barbecue, fresh baked pumpkin spice donuts, hot apple cider, and even gourmet s’mores! We also have bar options for those who want to kick up the fun. 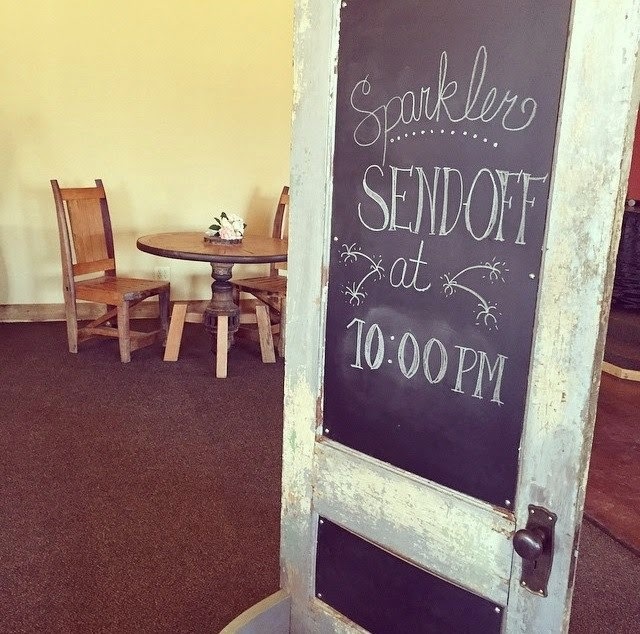 Just a few more reasons why choosing Faulkner’s makes for a fun and festive fall venue. 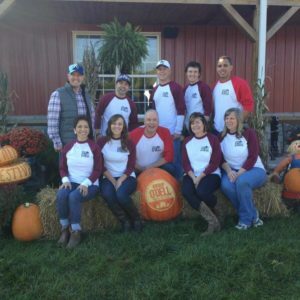 Fall is the perfect time for a company party – children are back in school, the holidays haven’t hit yet, and aside from the week of Thanksgiving, families rarely go out of town. Faulkner’s has tons of opportunities for booking company parties because we allow your party to enjoy the ranch while it’s open to the public! This allows for large groups and is a great way to get your company’s name in the public eye. We offer three unique packages and an on-site manager to ensure your experience is top notch. Fall is great for company parties if for no other reason than it being Human Resources approved! Hosting a harvest party is all-inclusive, no matter a person’s background or beliefs. Also, hosting a company party at Faulkner’s is great for including families. With our wide range of fun activities, we have something for everyone, which makes us the perfect venue for celebrating everyone at your company! But wait — It doesn’t stop there. Faulkner’s Ranch also hosts holiday parties! 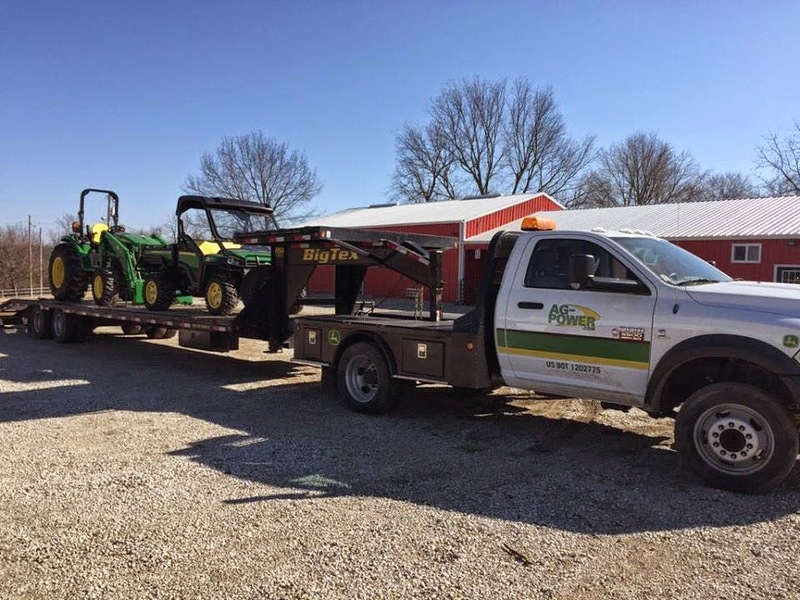 Visit our website today and check out the fun your company could have at Faulkner’s Ranch! Love is in the air and wedding season in full bloom at Faulkner’s Ranch! From our beautiful wedding arbor to our charming banquet barn, we’re giving you a sneak peek of all our special wedding features here at the Ranch. Share a pre-wedding toast in the Bridal Suite. The Bridal Suite is equipped with two glam stations, a private restroom and plenty of comfortable seating for your bridal party. A menu of light snacks, refreshments and, of course, some pre-wedding bubbly is available upon request. 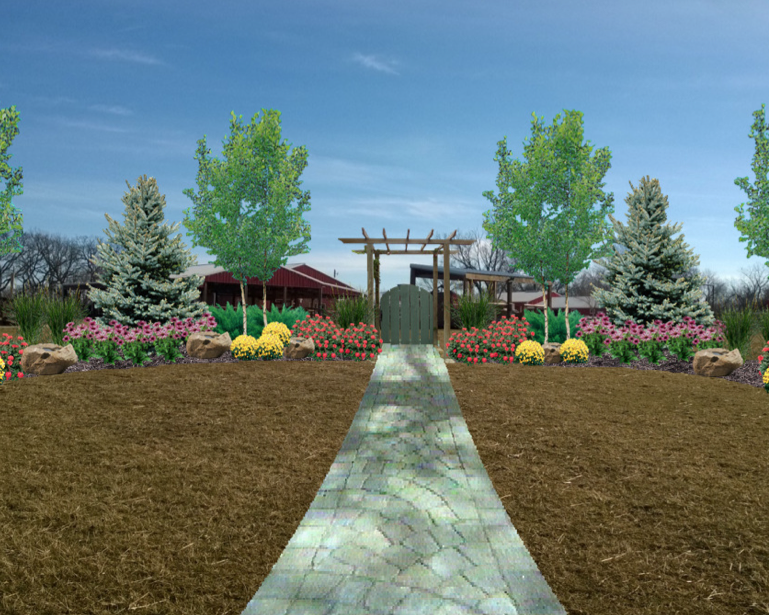 Concept Drawing of our future wedding ceremony site. 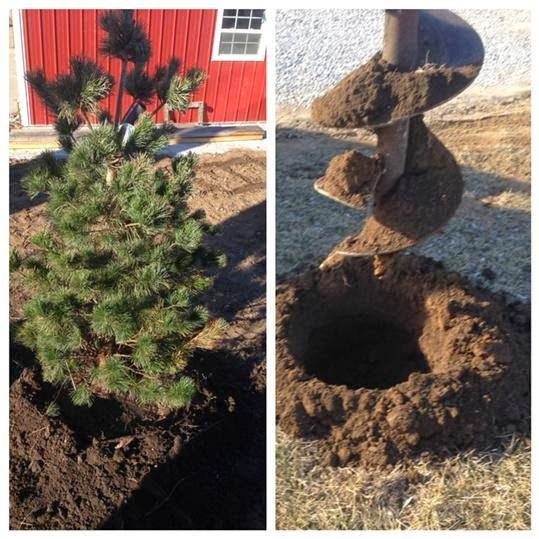 Our Wedding Arbor is getting a makeover! Enhancements include beautiful landscaping, a paved aisle and the romantic arbor itself. Couples love the Wedding Arbor as a wedding ceremony site because its simplicity gives brides the chance to add their own special touch, from florals to lace, to the already beautifully scenic setting. Join us as we unveil the full makeover at our upcoming BarnWarming Open House. The covered Wedding Pavilion can be used in many different ways. The Wedding Pavilion is the perfect space to gather your guests before and after your wedding ceremony. If dining and dancing outdoors is your style, the pavilion can also be easily transformed into your reception site. Beyond the pavilion is a stage for the DJ with a dancefloor ready for dancing the night away. Brides love the look of our market lights which give their reception a charming sparkle. 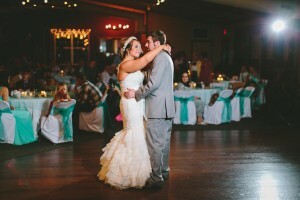 Couple shares a “First Dance” on the Banquet Barn Dance Floor. Our indoor, climate- controlled Banquet Barn features many rustic decorative elements like wooden stable doors and a gorgeous wooden dance floor. Not to mention, couples love serving delicious food prepared by the Ranch on an elegantly designed buffet in this part of the Ranch. Learn more about the additional amenities we offer to amp up your special day. Faulkner’s Ranch wants you to have it your way on your wedding day. Click here for more information on packages and pricing for your special day. It’s been awhile since we’ve shared some stuff over here, but just you wait – we have lots of exciting blogs coming up in the next few weeks! Last month we wrapped up our Holiday Party Season. We always have a few January parties (a great alternative to the December party if you’re already thinking about what your company is going to do next year). These parties were an absolute blast! We can’t wait to share our favorite details about them with you, so stay tuned. In January and February we hosted three Barn Warmings. These Open Houses are the perfect opportunity for our brides to see the banquet barn all dressed up, meet some of our favorite vendors, and sample our delicious wedding menu. Plus, we got to show off some of the new projects we’ve been working on, like this old door turned chalkboard sign up-cycle that will be perfect for wedding season. Speaking of weddings, we are currently transforming the house on the ranch into a Bridal Changing Cottage. This will be the perfect place for our brides and their wedding parties to get ready the day of. Check out this sweet little detail we just added to it. Cowboy Tim found it at the Greenwood Antique Store for only $15! We just love little treasures like this! Did we tell you that we had a new baby?! Meet George. 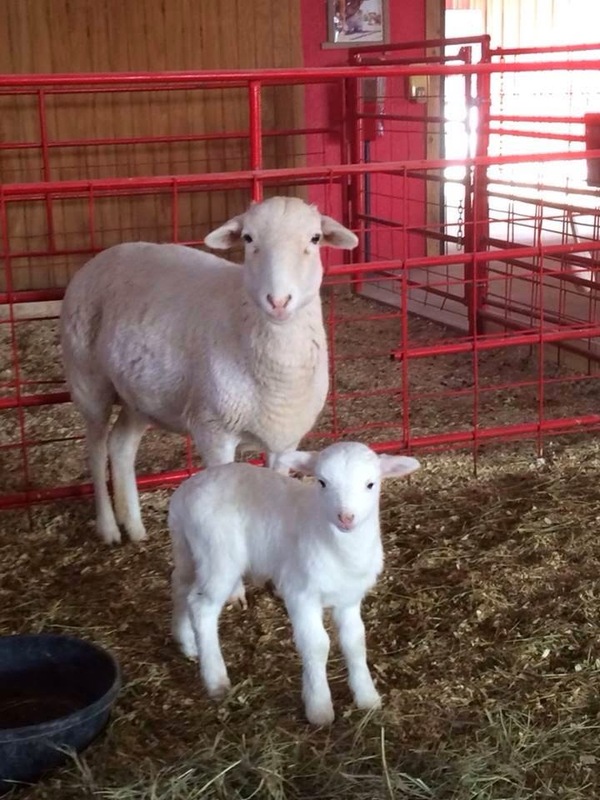 This is really early for a lamb to be born, but don’t worry – this little guy is staying nice and cozy in our heated petting farm with its mama and family. And no, you’re not mistaken. He is the cutest thing ever. Oh, and we got some new toys too! And last, but not least, we’re not jealous that Bob and Marilyn are enjoying some time in Florida. Nope, not jealous at all. Anyway, that’s what we have been up to. What about you??? We’ve got something exciting underway! Food brings people together and we love the catering team that we have assembled. We have put a lot of time, energy, and most importantly love into the menu items that we serve. That is why we are so excited to build this catering kitchen so that the food can be prepared and served fresh adjacent to the banquet barn and picnic pavilion. This kitchen has been designed to suit our needs based on the specific menu items we will serve. 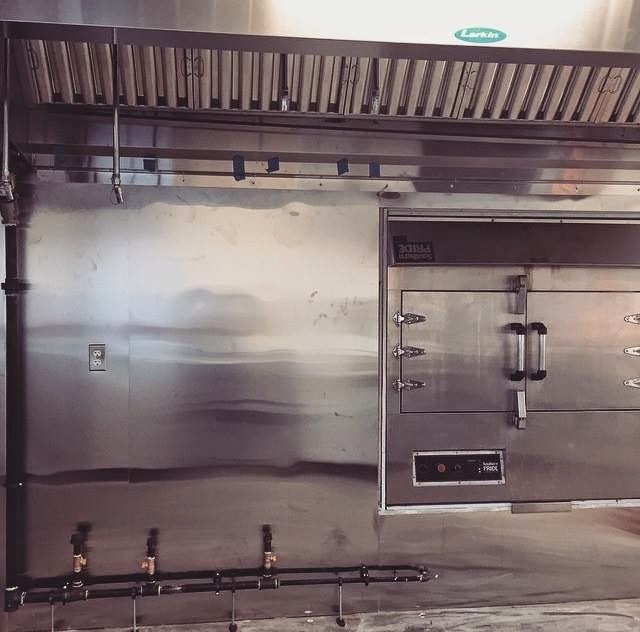 It will even have a smoker built right into the kitchen to permit smoking food in any weather from the comforts of inside! How awesome is that?! But wait, it gets better! It will also have a concessions area to service that need during our Pumpkin Season. Thankfully it’ll be done way before next year’s Pumpkin Season. In fact, the catering kitchen will be ready to use just in time for our Holiday Parties! Needless to say, we are so, so, so excited about this new addition! We can’t wait for you to experience all of the yumminess that it will bring! Y’all, today is your lucky day! Today you get to meet one of the most awesome behind the scenes gals here at Faulkner’s Ranch. Meet Jennifer Flint aka JJ! JJ has been with us for a few years so we thought it was about darn time that y’all get to know her. Plus, today is her birthday!! What a better day to celebrate JJ than today! Anyway, we asked her some questions for the old bliggity blog. Check out here answers right here! 1. Howdy JJ, can you tell us a little bit about yourself? I have been working at the ranch for nearly 2 years now – I think I’m officially “adopted” into the Faulkner’s family?! I’m originally from Saint Louis, MO. I am married and have 4 children (future ranch hands) and we live in Lee’s Summit. I love to exercise and spend time outdoors with the family! 2. What is your job at Faulkner’s Ranch? My job at Faulkner’s is hard to define – I would say an assistant is probably best. I help support the team – that’s what I do best! 3. What is your favorite/most rewarding part of working at Faulkner’s Ranch? My favorite and most rewarding part of working at the Ranch is seeing people/customers happy to be here relaxing and having a good time with their friends and family. No matter what the event – field trips, weddings/receptions, picking out a pumpkin – everyone arrives and leaves the ranch happy – and that makes me happy! 4. You get to work with lot of awesome guests at the ranch so you must have some fun stories. What is one of your favorites? We just hosted a wedding reception recently here at the ranch and had a really special moment with the guests. Near the end of the reception, our DJ played “Will the Circle Be Unbroken” – and every guest was on their feet, holding hands, singing and dancing around the barn! They even grabbed our staff members to include in the fun! It was a really special moment to watch a family come together like that in celebration. 5. 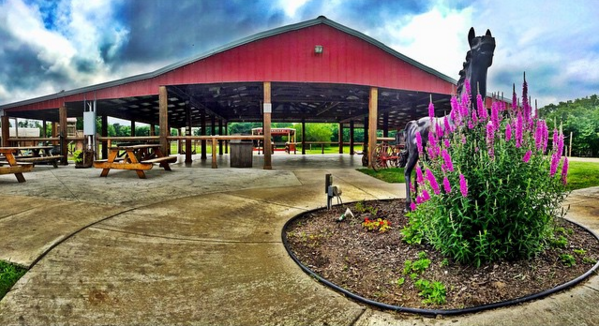 What are you looking forward to the most at Faulkner’s Ranch for the rest of 2014? For 2014, I’m most looking forward to watching the business expand. I’ve been here for two years – and known the Faulkner’s personally for years – and it’s amazing to watch their business grow and flourish. They are a wonderful, hard-working family and they love what they do. I am grateful I get to be a part of getting the word out about the Ranch! 6. Of course, we have to ask…what is your favorite country song? 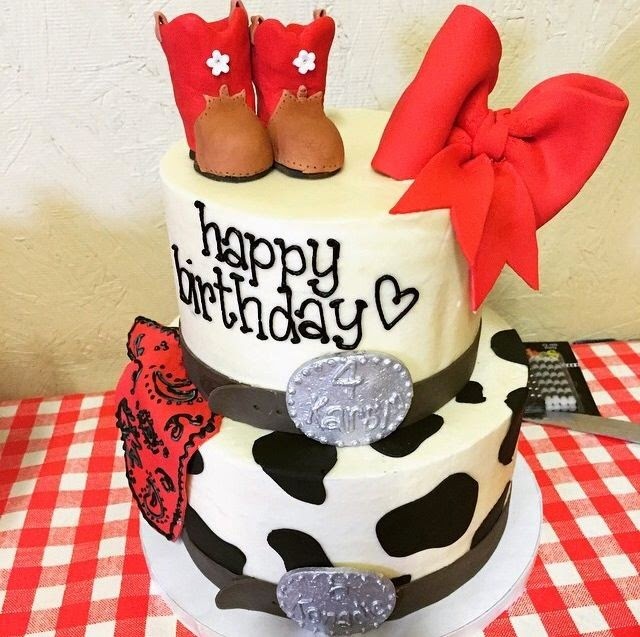 Ok – the hardest question of them all – but I have to go back to a great party song – “Country Girl, Shake It for Me.” It’s hard to pick just one – but that always gets the boots on the dance floor! We are so lucky to have JJ as a part of our Faulkner family! Happy Birthday, JJ! You’re the best!